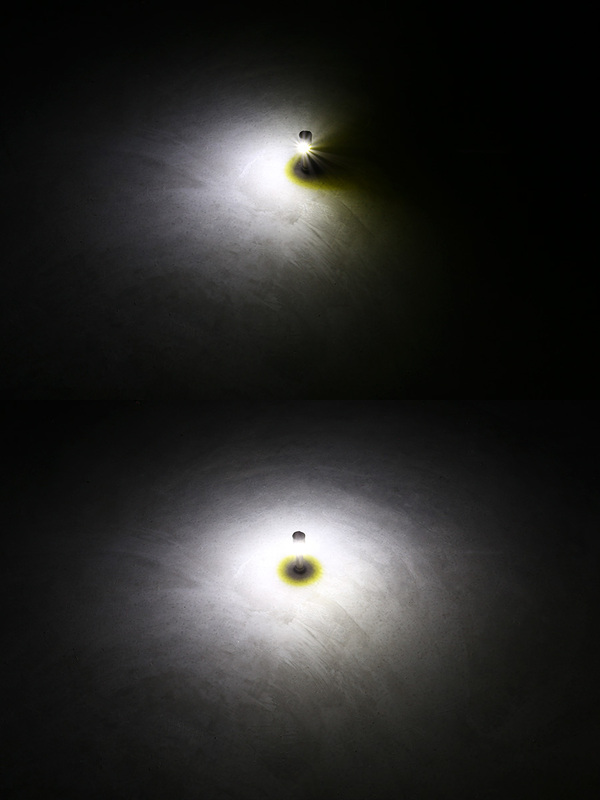 NEBO TWYST Z - LED Flashlight w/ Built-In COB Work Light and Lantern: On Showing Beam Pattern In Wide (Top) And Narrow (Bottom). 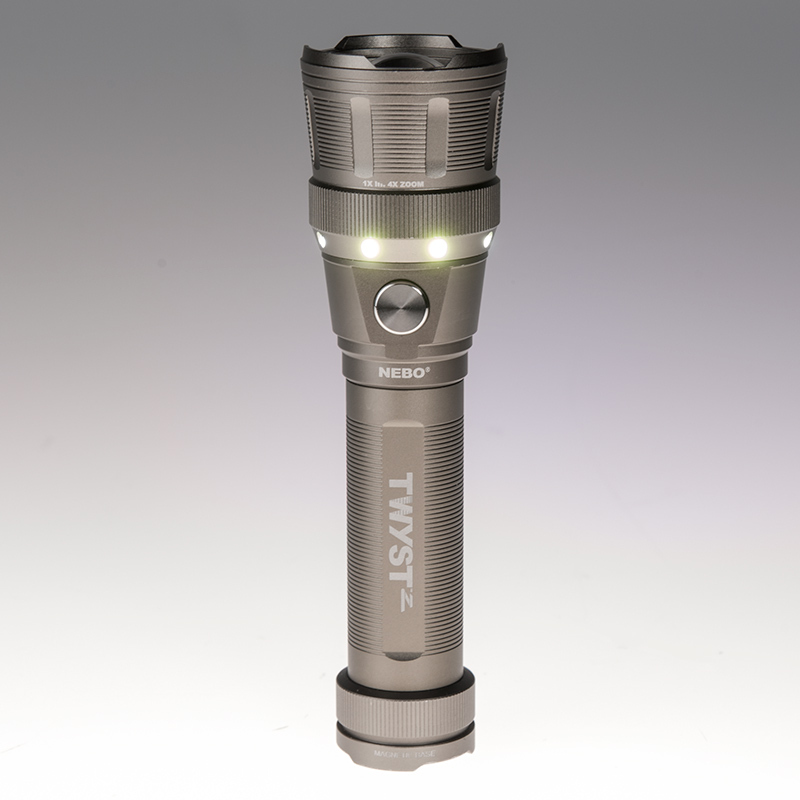 NEBO TWYST Z - LED Flashlight w/ Built-In COB Work Light and Lantern: Showing Beam In Field. 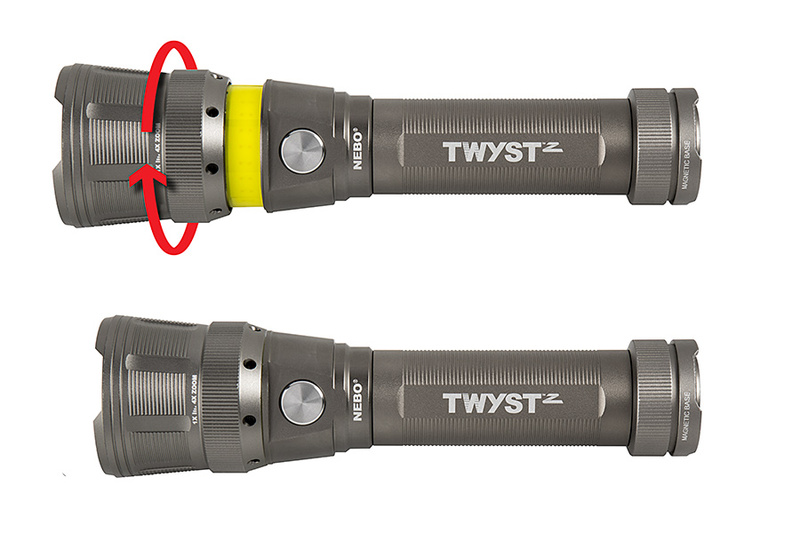 NEBO TWYST Z - LED Flashlight w/ Built-In COB Work Light and Lantern: Showing Lantern Light On Indicator Holes. 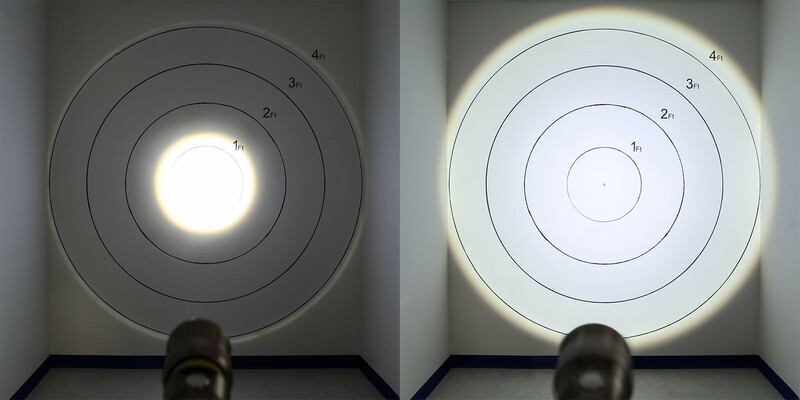 NEBO TWYST Z - LED Flashlight w/ Built-In COB Work Light and Lantern: Showing Lantern Mode Beam Pattern In Full (Top) And Half (Bottom). 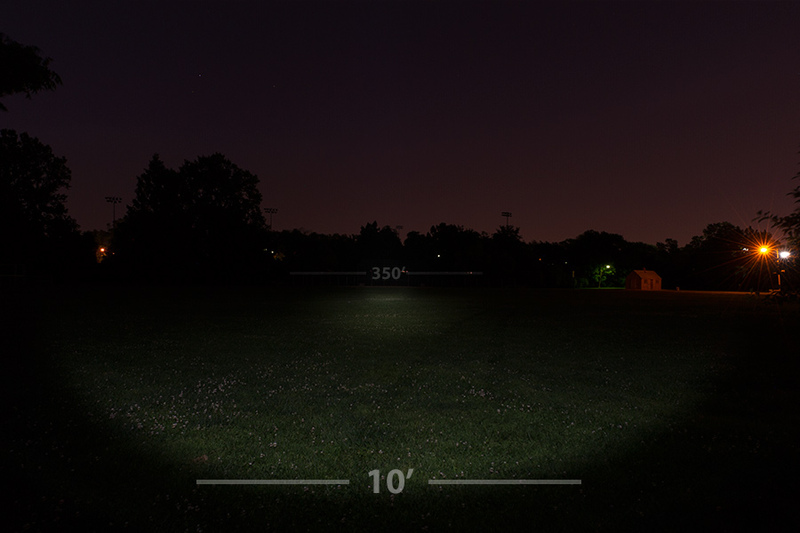 NEBO TWYST Z - LED Flashlight w/ Built-In COB Work Light and Lantern: Showing Narrow Beam (Left) And Wide Beam (Right) From 5'. 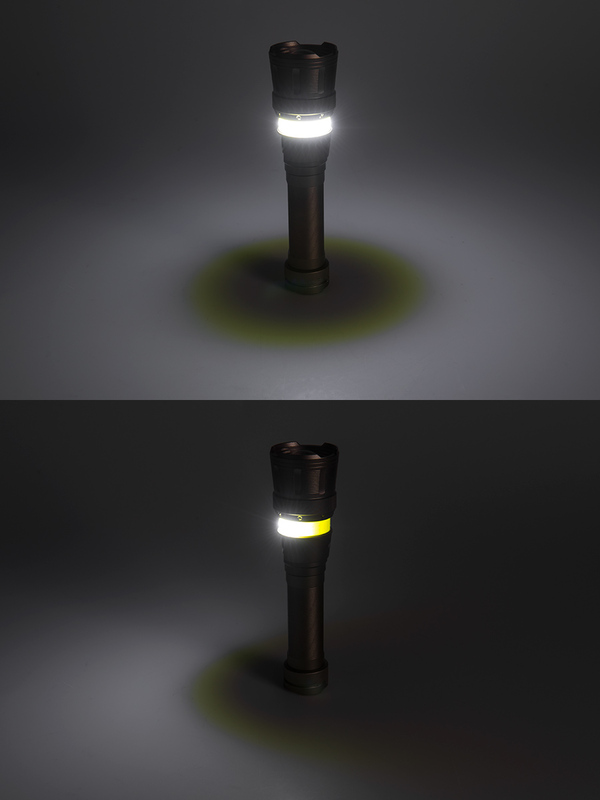 NEBO TWYST Z - LED Flashlight w/ Built-In COB Work Light and Lantern: Showing Half (Top) And Full (Bottom) Lantern Modes. 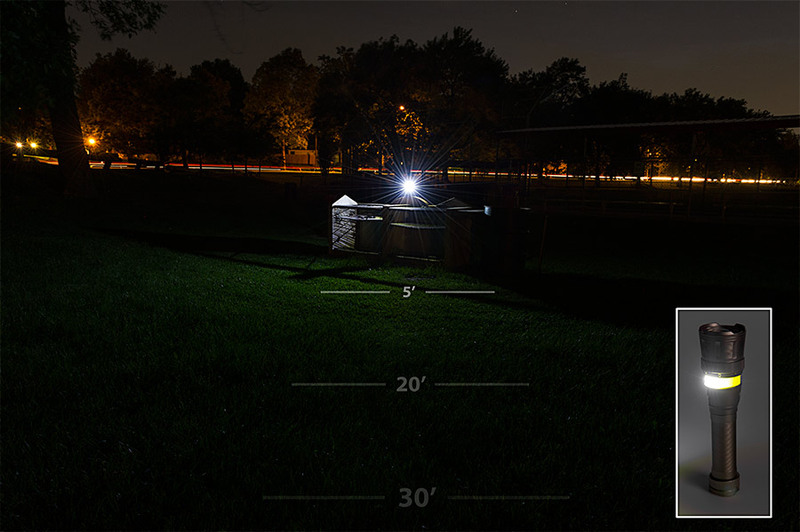 The NEBO TWYST™Z is so much more than meets the eye! 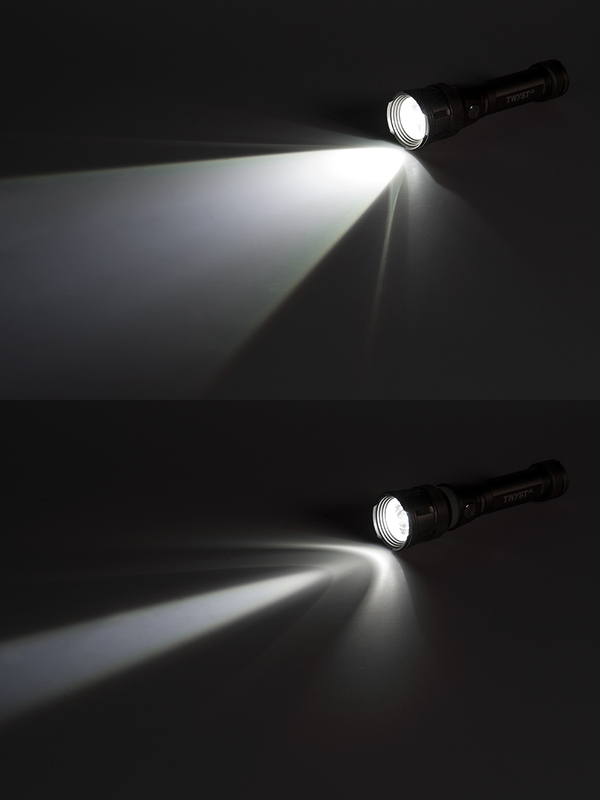 This 3-in-1 device functions as an LED flashlight, LED work light, and LED lantern, so you can cut down on the accessories and focus on the task at hand. 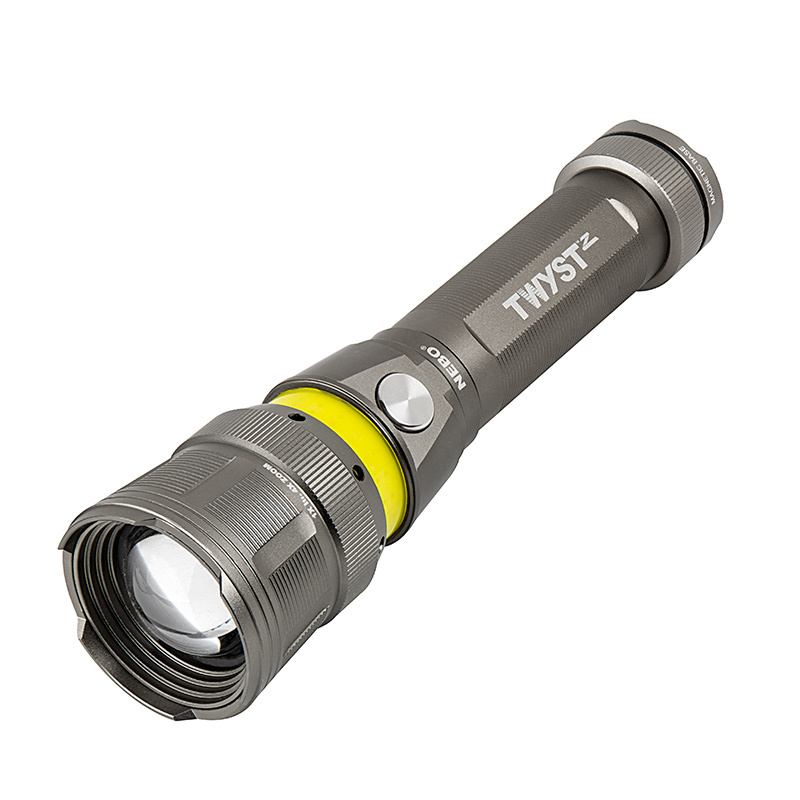 The TWYST™Z is much like the original TWYST™ but with 4X adjustable zoom. 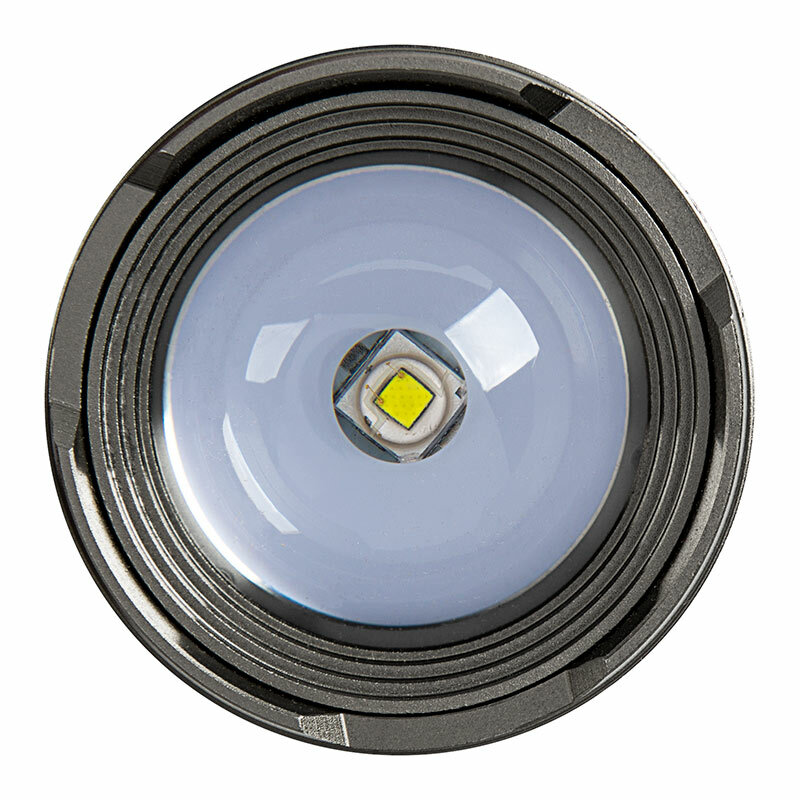 Using a ring of long-lasting COB (chips-on-board) LEDs, the lantern and work light can emit up to 200 lumens and 75 lumens respectively. 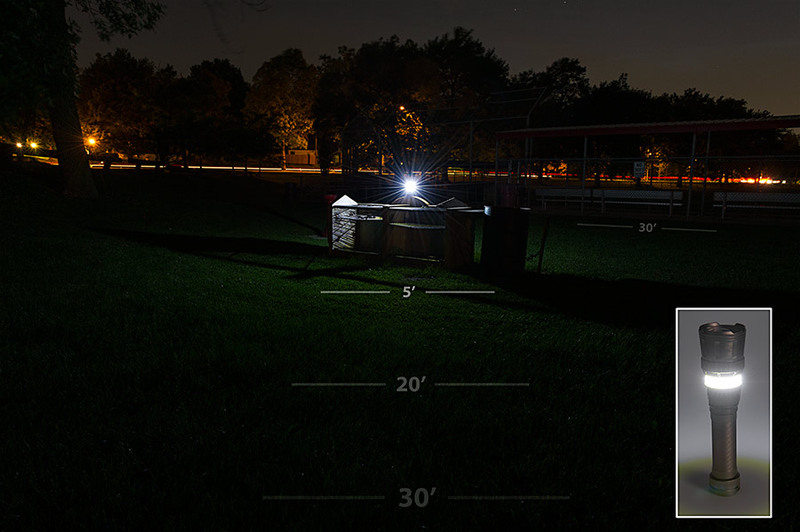 The powerful flashlight emits up to 200 lumens, and beam patterns can be adjusted with just a twist of its top. 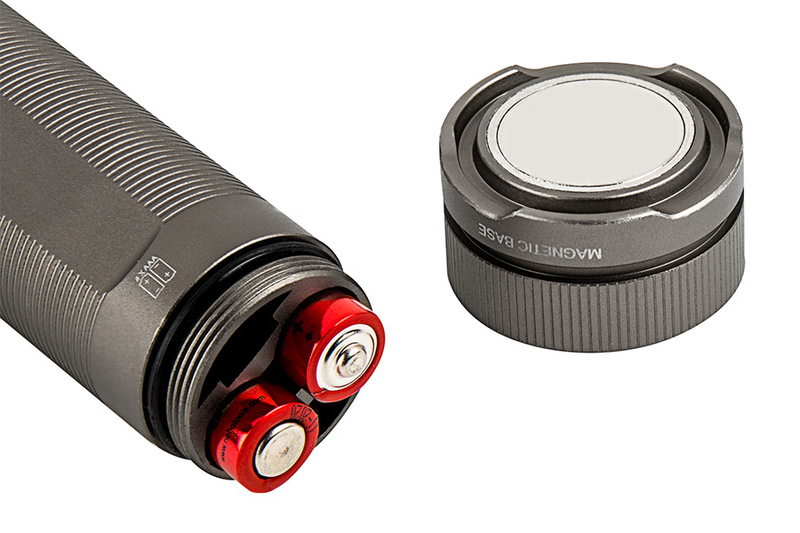 A side-mounted on/off button allows for dimming in every mode, and a magnetic base provides hands-free use. 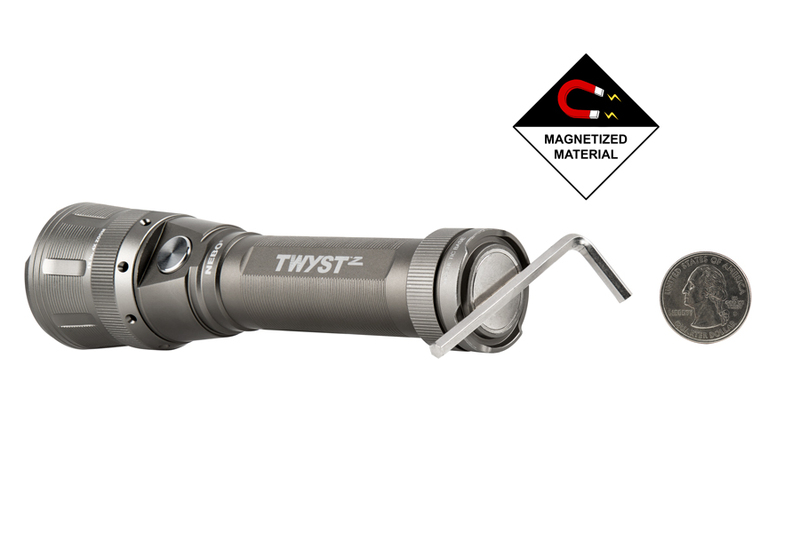 Constructed of aircraft-grade aluminum, the TWYST™Z is waterproof and impact resistant. Includes 4 AAA batteries.